I am very picky about roast beef. Really, any beef. I worked in a deli for about a decade and there is no comparison of the slimy, bloody, vacuum-packed meat wads that passed for roast/corned beef to the real thing. Whenever I see a Reuben on a menu, my first question is “do you make your own corned beef.” If the answer isn’t “yes,” I find something else to eat. But French dip may be the exception. I still prefer a sandwich made from the slow roasted loin of the beast, but I will eat and enjoy a toasty, deli-sliced version, as long as the provolone is melty and the au jus isn’t too salty. 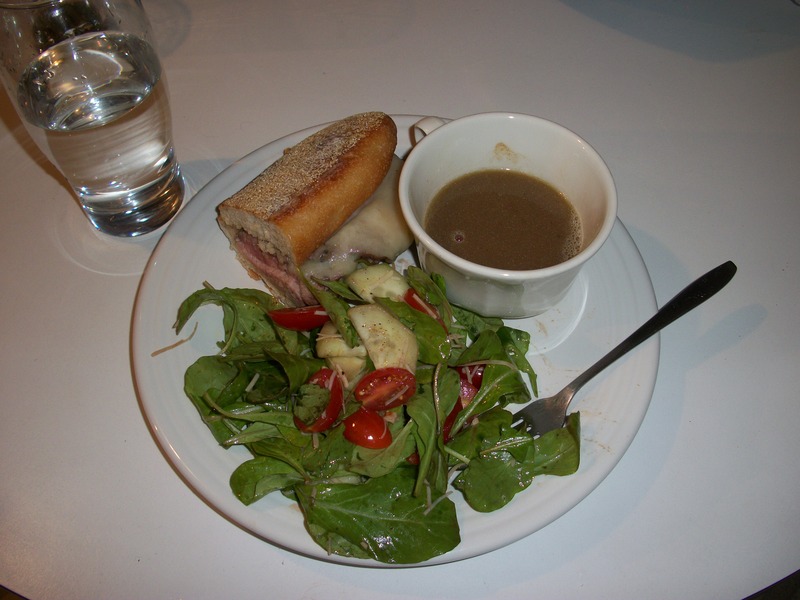 And I’m not too picky with the au jus – both brothy and thick versions have been satisfactory. But to make French dip from a slow home-roasted side of beef, tender and tinged with pink, with the au jus brimming with nuggets from the reduced drippings….that is sublime. Our first meal in our new home was one such sandwich, along with an arugula salad tossed in balsamic vinegar and olive oil with cracked pepper. A simple presentation of a meal it took my husband about three hours to make. We ate admidst the chaos of moving boxes and packaging paper, having only really sorted out the kitchen and pantry (priorities, right?). 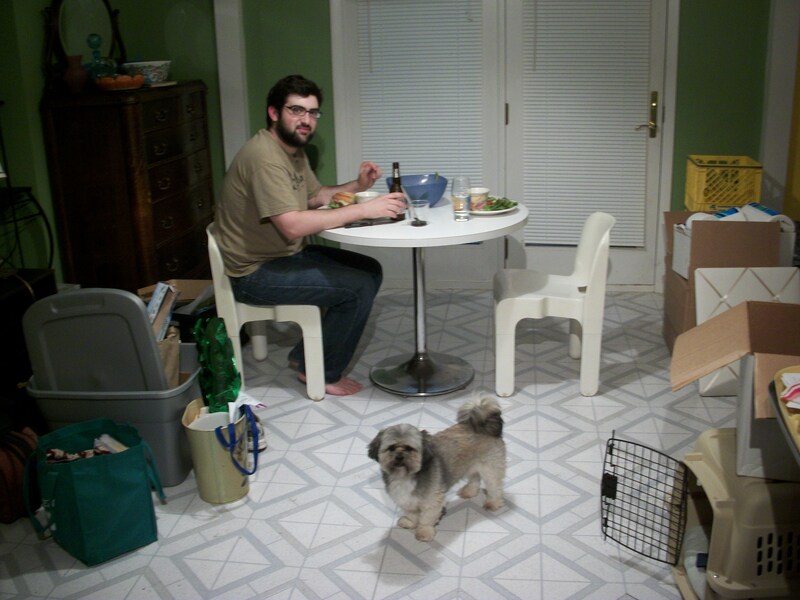 The setting wasn’t ideal for a relaxing meal, but the audience very much approved. The chef and his sous-chef/clean-up crew.